Renee's, the king of dressings, dips and sauces, offers a new coupon, which you can order on their Facebook page. 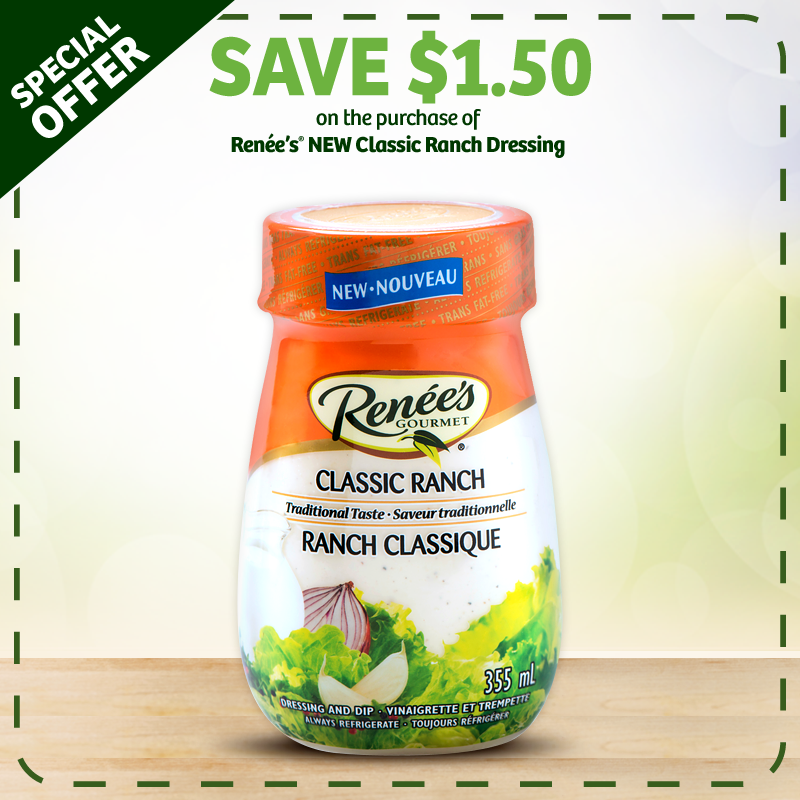 Save $1.50 on the purchase of Renee's new class ranch dressing! In addition to the coupon, explore the great range of recipes that this brand offers on their website. There are over 200 recipes available there for free!